Matthew Postgate, the current BBC controller of R&D, will take over as the corporation's CTO (Chief Technology Officer), from 28th July. He will replace the interim CTO, Peter Coles, who in turn, stepped in when John Linwood was sacked earlier this year following the Beeb's failed Digital Media Initiative. The project, which came in at just under £100 million, was branded "a total failure" by the Public Accout Committee after being launched in 2008. 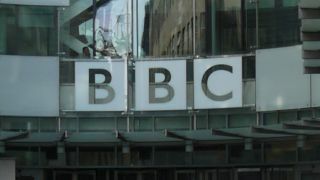 It was meant to offer a unified platform for managing BBC's archived and current multimedia material for its staff but ended up being shut down in May 2013. Postgate oversaw a number of firsts including the first 4K broadcasts over the web. The BBC will also show off the Commonwealth games in 4K. His team also helped record a news bulletin for virtual reality headsets. How will the BBC look like in 2022?